Low-growing with slender stems. Pure yellow, funnel-shaped flowers one fourth to one half inch. Orange to brownish purple throat. Will cover large areas. 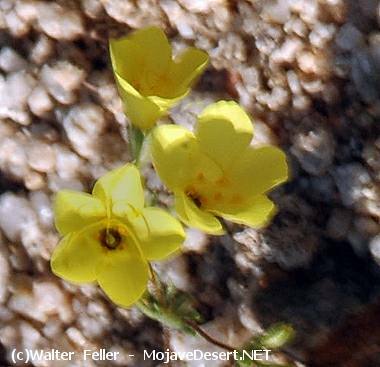 Commonly found in sandy areas below 6,000' and in Joshua tree woodlands in southern Mojave Desert.